Get the most from your tone by punching your amp in the face. If you haven’t experienced the joy of slamming the front end of your amplifier with a great-quality boost pedal, it’s time you add the JHS Pedals Prestige to your rig. Running it low transforms it into 3D-sounding buffer. You can nudge it up a bit to get a clear volume boost. Or maybe you want to keep turning the knob to punish your preamp into its most gorgeous harmonic overdrive. 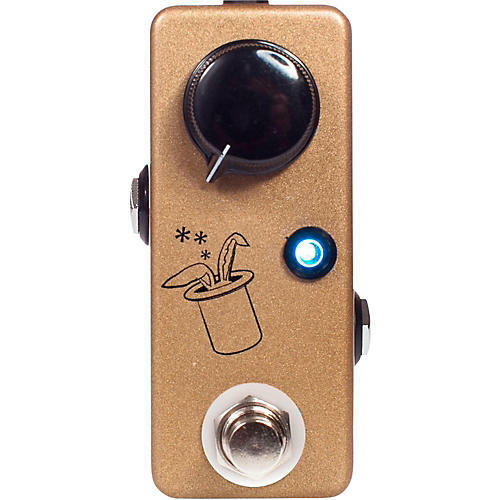 And for the sonically brave, try diming the JHS Prestige buffer/boost pedal and listen as your amp begs for mercy. And all this power comes in an adorable mini enclosure that takes up minimal pedalboard real estate. Dimensions: 3.6 x 1.5 x 1 in.